Voice Over Internet Protocol technology has now been perfected for business and personal use. Voice Over Internet Protocol, or VOIP as its usually referred to, is the use of the internet connectivity for the use of telecommunications. Money and Business recommends Ring Central’s VOIP Phone system. Are you a one or two person small business but want that professional sounding telephone prompting like press 1 for Sales and Press 2 for Accounting and Press 0 for the operator? It’s possible to get all of the previously mentioned extensions to ring to one phone number, and one person can manage the telephone system while sounding like a large business. Ring Central’s Professional VOIP allows the fully automated telephone system to be forwarded to your phone or phones, wherever they are. Calls can be forwarded to a cellular phone, a home phone, a dedicated business line, or all three simultaneously. Therefore, what is being provided is a call management system, with a Toll Free number (local numbers available), and your phones will be used. Ring Central Professional Plans start at $9.99 per month. The above VOIP Business system works fine for a one person operation. However, as a business grows there is the need for several people to communicate easily and effectively with each other. The Business VOIP system Ring Central Office provides just such a system. This is a virtual PBX system that connects IP Phones via an internet connection. Gone are the days when phone copper lines were needed to connect phones in a business to facilitate features such as an intercom. The IP Phones connect with the other via an internet connections, and no physical PBX system is needed. With this IP connectivity, calls can be transferred from one extension to another extension quickly and effectively with no boundaries. Let’s say one employee works at home in Markham, and another employee works in the office in Toronto, the two can connect to each other with an intercom using an internet connection as the transfer medium. An IP Phone can be located anywhere and can be moved from location to location with no configurations needed before re-use. 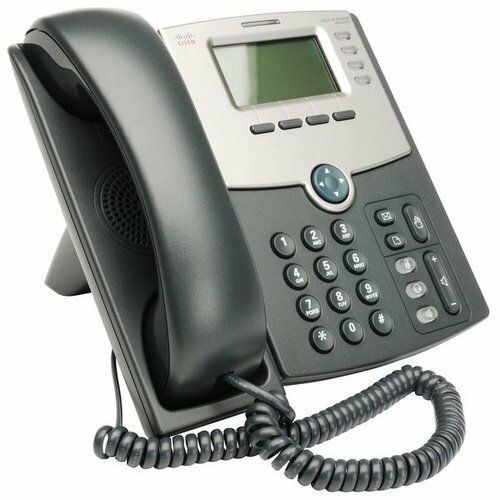 While Ring Central Professional uses the user’s phone(s) for the system, Ring Central Office requires the use of an IP phone provided by Ring Central. A CISCO 303 is an excellent starting choice for any business VOIP system. The CISCO 303 is a three line VOIP Business phone, with intercom and transfer features.